SeaWorld Orlando Park - Marine Based Zoological Park, Orlando, Florida. SeaWorld Orlando is an aquatic theme park based in Orlando, Florida. The park is a marine based zoological park which is owned by SeaWorld entertainment. The park combined with Discovery cove and Aquatic form SeaWorld parks and resorts Orlando, which is an entertainment complex. The complex consists of around three parks and various hotels. The park is spread on around 200 acre of land and includes around 13 rides and five roller coasters. It is open for business throughout the year. The SeaWorld Orlando is considered the 10th most visited theme park in the United States. It was given this title because it hosted 5.1 million guests in 2013. The park is the 19th most visited theme park of the world. SeaWorld has many attractions that include rides and animals. The aquatic theme park has witnessed various deaths, latest one was of a trainer that was dragged into the pool by a whale. The park was fined $75,000 for violating safety. After the death the park was out of business for around a year during which it was renovated and false floors were installed in order to curb any major incidents in future. 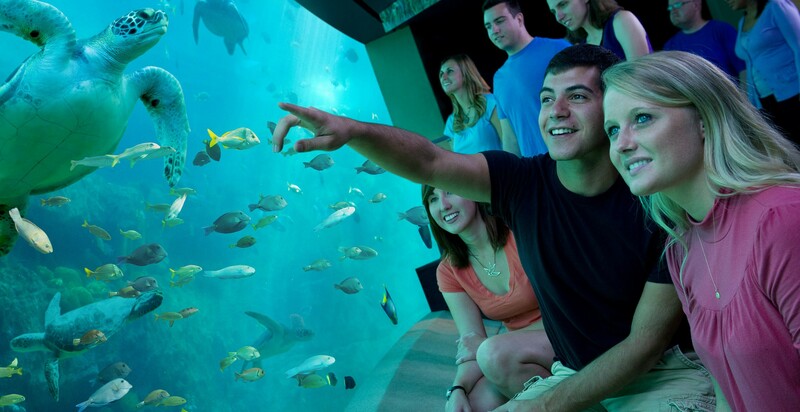 Sea world conducts seasonal events that go on throughout the year. Last year the park was separated in to three different areas and unique themes and features were initiated including sea of shadows, port of entry, sea of legends and ice including many more. The park is all ready to introduce hyper coaster, which is named after the fastest shark in the ocean. The park claims the roller coaster will be the fastest and tallest of its kind at the Orlando area.